Cypress or Cupressus torulosa is the National Tree of Bhutan. Locally, it is known as 'Tsenden'. 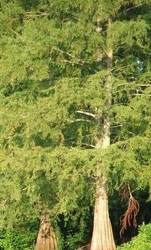 Bhutanese consider the cypress tree sacred and held it in great reverence. 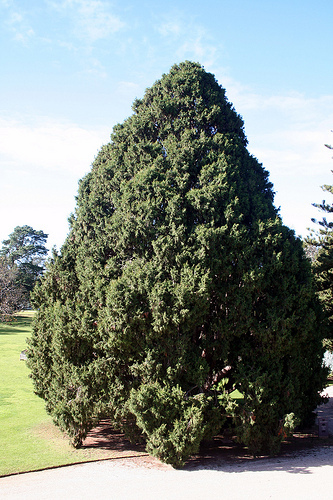 Cypress is an evergreen tree that can grow up to 45 m of height and its trunk can have a diameter of 90 cm. 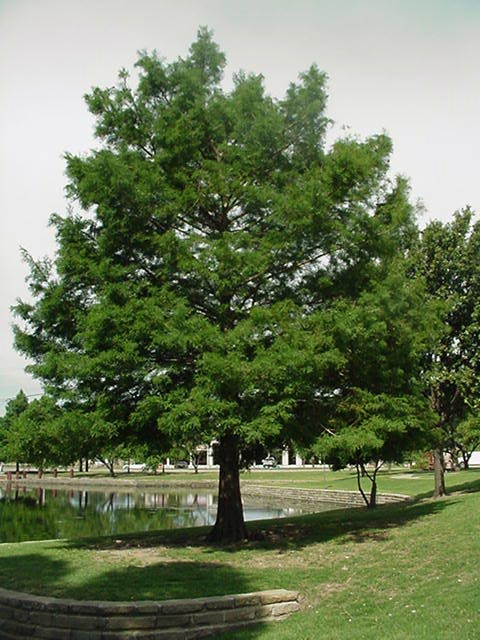 The essential oil extracted from root-wood of Cypress is used in medicine to cure inflammatory wounds, an antiseptic and to make cosmetics.The bark of the cypress tree is thick and either grey brown or brown in color and often peels off in longitudinal strips. 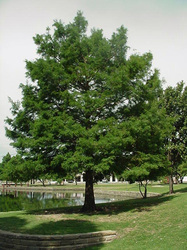 The branches of a cypress tree are thin and slender with whip-like tips. 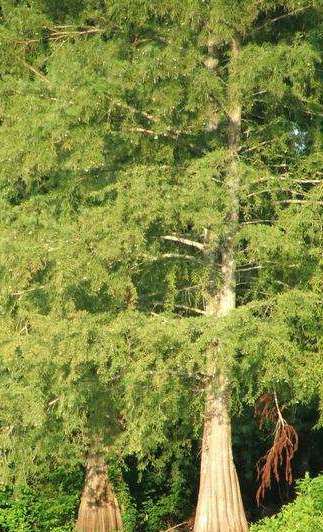 Cones of a cypress tree appear in February-March while the seed matures in May-June.. The Bhutanese consider the cypress tree sacred and identify with it for its nature and ability to survive in difficult terrain. 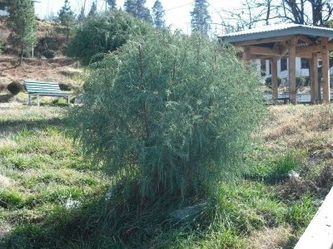 It is often planted outside monasteries, dzongs and religious places. Cypress grows very abundantly in Bhutan. Bhutan was once called "Lho Mon Tshen den Jong"(the country of cypress by Tibetans referring to the abundance of cypress trees grown in Bhutan.The timber is good for construction and is preferred for building of temples, monastery and dzongs. Wood and branches are of great value in and are burnt as incense. The history say that the Majestic Cypress tree at Kurjey, Bumthang is believed to have grown from Guru Padmasambhava’s walking stick when he came to Bhutan.